Are you an established professional who wants to make positive changes in your community and the world? Our club members are dedicated people who share a passion for community service and friendship. Becoming a Rotarian connects you with a diverse group who share your drive to give back. Please come to a meeting and learn what Rotarians are doing in the Groton Pepperell area and how you can participate! 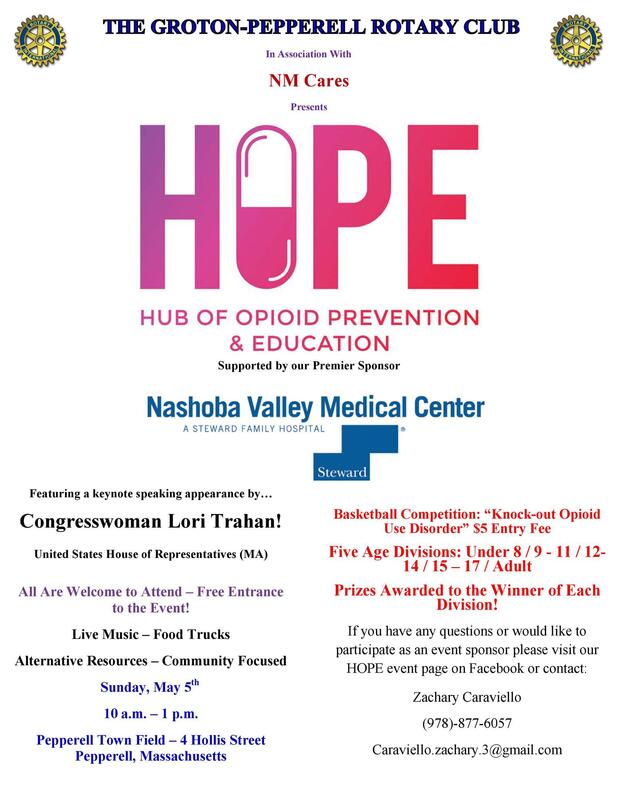 We will be hosting the 1st Annual HOPE Event right here in Pepperell, Massachusetts. We invite you to join us for an event unlike any other. The event is both community driven and family friendly, so feel free to bring anyone and everyone! Additional details to follow in the coming week. 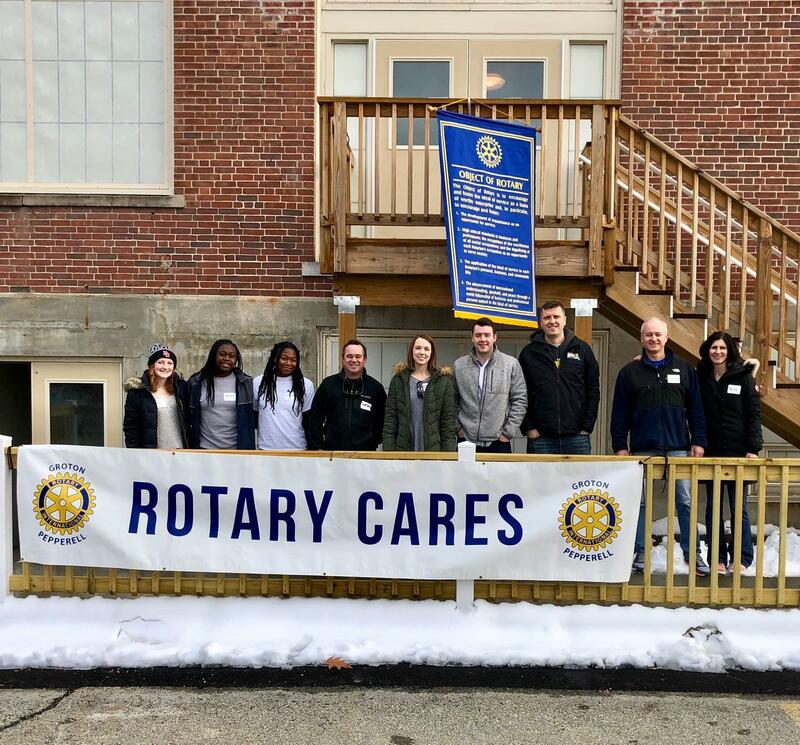 The Groton Pepperell Rotary Club teamed up with Caties Closet for a clothing drive at the Prescott School during their open house on November 17th. Caties Closet benefits kids in need ages 4-18. With the help of our community, children will be able to receive clothing and toiletries at no charge to them. Thank you to those who donated.